Golden (BC), Canada – As the US dollar grows stronger, bookings are blooming north of the border. The lure of legendary Canadian mountain destinations, renowned hospitality, and now the “powder discount” is proving too much for American skiers and riders to resist. 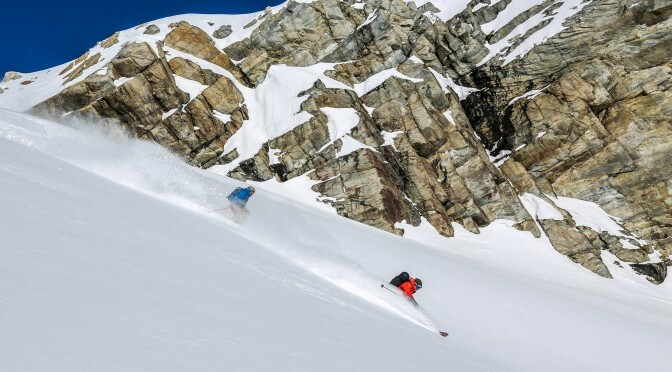 With close to a half-dollar bargaining advantage, American skiers are looking at 50% discounts when considering Canadian vacations, an especially attractive price drop when considering high-end ski travel like heli-skiing. “We’ve always had a large percentage of American guests, but we’ve seen a real increase in the past year,” says Greg Porter, owner of Great Canadian Heli-skiing in Golden, B.C. “Our operation, located conveniently close to Calgary, has been a favorite with American guests who want booking flexibility, a 5-star hosting experience and lots of skiing. In the popular Canadian resort town of Whistler, ski resort operator Whistler Blackcomb Holdings Inc. on Wednesday reported skier visits through February 8, 2016 totaling 1.14 million, the highest year-to-date visits in the company’s history and an increase of 21% over visits to the same date in prior year. While winter 2014-15 was admittedly a dismal snow performer in the Pacific Northwest, the strength of the U.S. dollar is likely joining improved snowfall in driving U.S. vacationers to contribute to this winter’s record visits at Whistler Blackcomb. “Looking ahead, we are positioned well for the remainder of the ski season as both season pass and frequency card sales and hotel room bookings are pacing ahead of the same time last year,” commented Dave Brownlie, President and Chief Executive Officer of Whistler Blackcomb Holdings. Visitor spending this winter is allowing the company to plan C$8 million in capital expenditures this year, including restaurant upgrades, enhanced learning terrain and infrastructure on Whistler Mountain and new summer hiking options.